Rascal Flatts, Lionel Richie, Rita Wilson and Miley Cyrus will perform at Muhammad Ali's annual Celebrity Fight Night in Arizona on March 24. Celebrity Fight Night XVIII will be hosted by Grammy Award-winning superstar of country music Reba McEntire, who is returning for her seventh consecutive year as emcee. The black tie event will also celebrate Muhammad Ali’s 70th birthday. The evening will begin with cocktails and a silent auction, followed by dinner, an exciting live auction and entertainment. 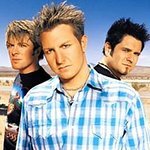 Multi-platinum recording trio Rascal Flatts will perform along with John Corbett. Additional performers will include Miley Cyrus, Rita Wilson, Lionel Richie, Sinbad and Jackie Evancho, under the direction of David Foster who is returning for his 13th consecutive year as the evening’s Musical Director. This year, Muhammad Ali will honor Larry Fitzgerald, Bill Austin and Diane & Bruce Halle with the 2012 Muhammad Ali Celebrity Fight Night Awards. Additional guests will include Laila Ali, Lance Alworth, Ken Blanchard, Billy Blanks, Dale Brown, Curtis Conway, Billy Crystal, Bo Derek, John Hadl, Tim Hightower, Evander Holyfield, Reggie Jackson, Michael Johns, Kris Kristofferson, Nancy Lieberman, Harvey Mackay, Kyle Massey, Chris Massey, Sam Moore, Lou Nanne, Lute Olson, Melissa Peterman, Chris Rich, Gale Sayers, Kevin Sorbo, Jordin Sparks, Verne Troyer, Ben Vereen, Kurt Warner, Beanie Wells, Ken Whisenhunt, Michael Wilbon, Dave Winfield and many more. The Muhammad Ali Celebrity Fight Night Awards are presented annually to acknowledge leaders in the sports, entertainment and business communities who best represent the qualities associated with the Champ and his fight to find a cure for Parkinson’s disease. 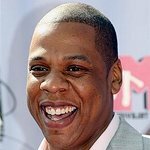 In recent years Donald Trump, Steve Nash, John Elway, Sharon Stone, Robin Williams, Jim Carrey, Magic Johnson, Tony Hawk, Billy Crystal, Michael J. Fox, Arnold Schwarzenegger, Chevy Chase, Jack Nicklaus, Kevin Costner, Wayne Gretzky, Joe Montana, Barry Bonds, Emmitt Smith, Evander Holyfield, Chris Evert, and Jerry Colangelo have received these awards. Additional award recipients have included Randy Johnson, Curt Schilling, Luis Gonzalez, Howard Schultz, CEO of Starbucks, and Bob Emfield and Tony Margolis, Founders of Tommy Bahama. Each year dozens of celebrity guests attend the event that has raised nearly $70 million dollars in 17 years.